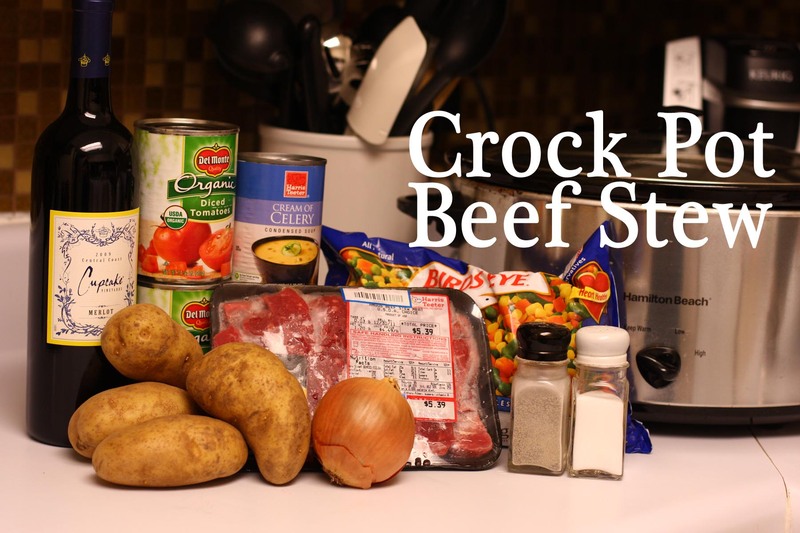 I use the crock pot at least two-three times a week. We rarely go out to eat, since we find it is so much cheaper to stay at home, and we usually like what we cook better! Therefore, the crock pot helps us to have delicious home cooked meals at a reasonable hour (since I get home with the kids around 5:30-6). Mix everything together in the crock pot and let cook all day! We usually eat beef stew with warm bread or biscuits. nope, you do not need to cook the meat first. You could if you wanted to, but not necessary. I always let it cook on low all day… on high I would say 4-5 hours. The longer it cooks, the better it is. Yum! Last winter (it’s summer here now) I considered getting a crock pot. It’s still on my wish list! I LOVE cupcake wine! So yummy! Beef Stew is one of my favorite comforts foods. Reminds me of my childhood. We always ate our stew with brown sugar muffins. Yum! Praying everythings goes well and quickly for Adeline. I don’t eat beef (or any meat) but I love cooking with wine, especially cupcake wine. I love adding it to pasta sauce or soups. I’m not a wine expert, but it tastes amazing to me to drink a glass along with those meals. I don’t generally care for wine, but I do love cooking with cupcake wine too! Do the potatoes turn to mush if they are left in the crockpot the whole time? should I add them later on? No. Although we typically use red potatoes. If you are concerned, just cut the potatoes a little bigger. 🙂 Then it will take longer to cook them. Dinner turned out great! Used red potatoes, and they did not get mushy haha, thanks for the input!